Girl's tears as Pope blesses migrants Jump to media player Pope Francis has met some of the thousands of migrants at the Moria camp on the Greek Island of Lesbos. 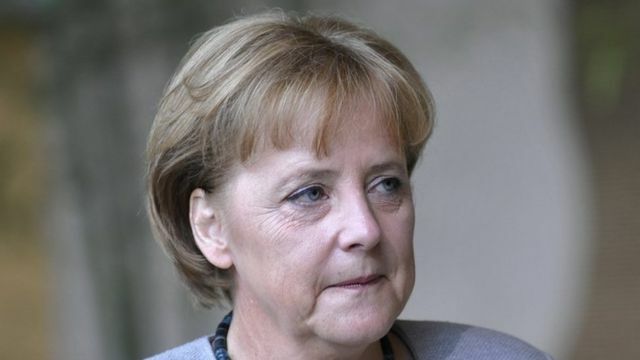 'Difficult day' for Angela Merkel Jump to media player German Chancellor Angela Merkel said her party had a "difficult day" after right-wingers made gains in state elections. German Chancellor Angela Merkel and European Union officials are to visit a camp for Syrian refugees in Turkey. Mrs Merkel is expected to use the visit to promote the recent and controversial EU deal with Turkey about migrants. Selin Girit reports from Gaziantep, near the Turkish-Syrian border.